What is the MARK International Intensive? 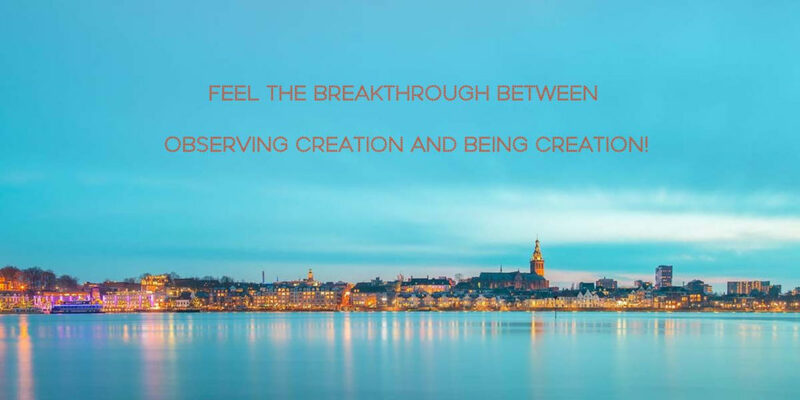 Every two years, from all over the world, those of us dedicated to an accelerating spiritual path gather in the Netherlands to play in the highest planes of human awareness. The workshop is channeled, taking full advantage of what is possible in the moment, based on who attends. Jonette Crowley, a beloved spiritual teacher, is committed to the evolution of each individual, and how that evolves all human consciousness. Since 1989 she has channeled MARK, a cosmic being who guides us to expand into our own multidimensional reality. The Intensive is EXPERIENTIAL! Through channeled meditations and activations you are taken to understand the highest dimensions for yourself. The learning comes from your own knowing. We expect over 150 people, so the energy is incredible! Most of all these Intensives are huge FUN!!! 2019 is a transition year, for many it has been a rocky time, where some of what we’ve previously believed is called into question. MARK has named 2019 the year of the ‘Golden Dragon.’ Dragons guard the doors of wisdom. The Golden Dragon is protector of a higher door…a gateway of profound breakthrough to the unknown…the not-yet-created. During our Intensive we provide energetic support to each other and to a rapidly awakening world. This workshop is about CREATION in all its glory! 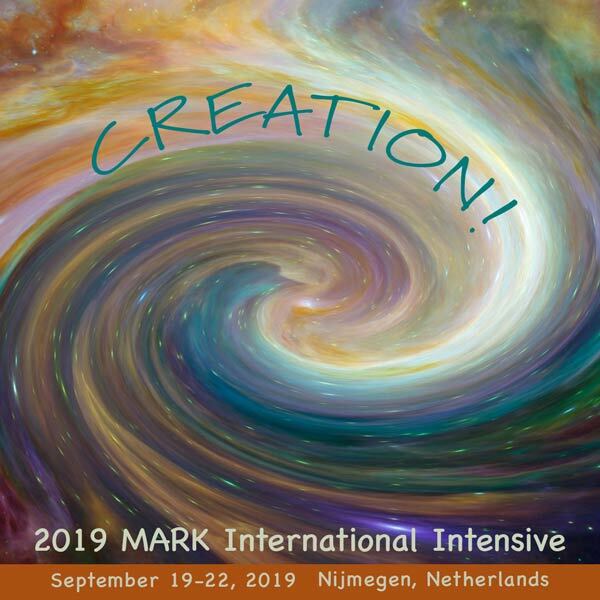 The 2019 MARK International Intensive is about moving to a level of CREATION where we are no longer destined to repeat what has come before. The doors to the higher dimensions are open, inviting us to move beyond karma and ancient patterns of limitation. We are empowered. We choose! Together we explore advanced levels of awareness, quantum consciousness, and multiple dimensions that lift us out of the limits of the ordinary. You gain skills in the universes beyond time and space, seeking transformation in every guided process. We seek to open what is possible for humans to attain, building bridges for others to follow. For the past two years, MARK groups and students around the world have been exploring the 10th Dimension—Relativity. This opens us to the unified field where we experience relationship and the influence of everything in the cosmos to everything else. It takes us out of singularity to connect with Oneness in a new way. MARK is hinting that during this Intensive he will be able to break us through the next gateway— the 11th Dimension—a whole new Universe of infinite possibilities! Our four days together over the fall equinox will be delightfully intense, taking place on all levels—physical, emotional, mental and spiritual. You will be prepared physically to embody and radiate more Light. Your emotional body will be attuned away from the fears in the collective. You will have access to greater knowing and spiritual confidence. You will grow into a fuller sense of peacefulness and purpose. You will understand what it means to be an illumined human in these times of transition. This is an opportunity to be part of a catalyzing group of awakening humans who trust themselves and remember their mastery enough to boldly step forward as creators of the future! ’MARK’ is a cosmic being of the Great White Brotherhood, channeled by Jonette since 1989. He gives you a map for spiritual growth and transports you easily to experience higher states of consciousness for yourself. You receive your own wisdom and insights and can feel profound changes that only expanded awareness can give you. If you want a path where there are guidance and signposts, but no leader or dogma; If you yearn for spontaneous breakthroughs and rapid growth…..then working with MARK may be the answer! You are already on a path of accelerating spiritual growth. You don’t follow the mainstream. You want your own answers. You are curious and committed. You KNOW the world is on the edge of an awakening and your soul is compelled to be an active part of it. Anyone who knows that they are part of a bigger picture of cosmic enlightenment and wants the support to expand yourself as a Creator in an increasingly Creative world. Anyone who has experienced the MARK work and knows the value of ‘ramping it up’ together with a large group of similar seekers over four intensive days of exponential growth— growth that can only happen in a focused group. If you are new to MARK’s work you are most welcome! You will easily be ‘carried along’ in the unstoppable flow of awakening that happens at this retreat! Never before have we witnessed the evolution of human consciousness and the infinite possibilities that are now available. Our old ways of being are falling away as we claim golden divinity for ourselves and all. When we gather together in high consciousness groups we can and will change the world! Prices: Early Bird Discount through May 31, 2019. To support you in attending, Jonette and the Center for Creative Consciousness team are keeping the Early Bird price the same as in 2017!! Early Bird: 680€ / $780. Full payment must be received by Friday, May 31. Regular: 780€/ $890, if payment is received after May 31. Event Registrations: please register directly via www.centerforcreativeconsciousness.com. You can either pay by wire transfer (EU) or credit card (US). Location: Park Hotel Val Monte, Berg en Dal, near Nijmegen, the Netherlands. This is a beautiful tourist town on a river. You may want to come early or stay longer to enjoy the area. For payment and workshop registration questions contact Susan Montoya-Walls at info@jonettecrowley.com.